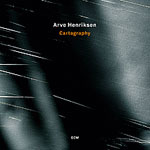 Increasingly well-known to ECM fans for his work with Christian Wallumrod, Trygve Seim and Jon Balke, Cartography is Arve Henriksen's debut as a leader for the label. A logical successor to his impressive Rune Grammofon discsSakuteiki (2001), Chiaroscuro (2004) and Strjon (2007)it's also the Norwegian trumpeter's most ambitious release to date. Post-production has always figured in Henriksen's work, but his previous releases have been either solo or with small, consistent line-ups. Recorded over three years in the studio and in concertincluding the sublime "Famine's Ghost," from his outstanding Punkt 06 performancewith Cartography Henriksen creates an even more vivid aural landscape, filled with evocative imagery. With constant companions Jan Bang and Erik Honorewho bring all manner of sampling, processing and production to the mix Cartography's twelve largely improvised pieces transcend style and preconception, with a cast of intrepid, like-minded sonic explorers that includes guitarist Eivind Aarset, percussionist Audun Kleive, bassist Lars Danielsson, Trio Mediaeval singer Anna Maria Friman and keyboardist/Supersilent band mate Stale Storlokken. Henriksen has always been able to tap the deepest of emotions in the subtlest of ways, creating overarching narratives that go far beyond mere collections of discrete pieces. With reference points ranging from Jon Hassell to Brian Eno's ambient works and the neo-classical, Henriksen uses sound as much as melody to create a series of tone poems where virtuosity is irrelevant and the vast, resonant potential of texture is paramount. His horn is the most recognizable instrument throughout, though his embouchure lends it a rare, vocal-like quality that, while still referencing the Japanese shakuhachi, has surpassed such simple comparisons to approach a clear, unmistakable and instantly recognizable aesthetic. A beauty steeped in melancholy pervades the set, even when there's a clear rhythm. 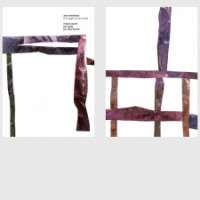 Bang's beats gently propel the soundscape created by Henriksen, Aarset, Danielsson and Honore on "Migration," but they're a soft counterpoint to the trumpeter's plaintive lyricism. British experimental popster David Sylvian's poetry on "Before and Afterlife" combines processed narrative with Henriksen's spare responses, leading to an other-worldly, avant-tinged string arrangement that becomes even more rarified in the second half, with Henriksen's oblique melody bolstered by dense harmonic clusters and an occasional heartbeat-like pulse buried deep in the mix. Henriksen's pure, falsetto voice adds poignancy to the understated drama of "Recording Angel," while his breathy trumpet, supported by Bang's sampled choir and orchestra on "Sorrow and Its Opposite"the only non-original on the disc leads to a delicate climax and gradually fading piano that brings the album to a tranquil yet subtly majestic close. The textural breadth and experimental nature of Cartographythe abstruse "Ouija" being a curious confluence of layered and processed trumpets, live sampling and synthesized colorsis most remarkable for its ability, at times, to approach silence while still being filled with sound. 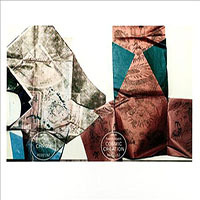 Henriksen's most fully realized disc to date, Cartography's unequivocal consideration and detailed construction never sacrifice moving the soul with profound humanity and circumspect spontaneity. 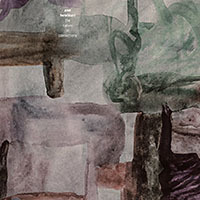 Track Listing: Poverty and Its Opposite; Before and Afterlife: Part One, Part Two; Migration; From Birth; Ouija; Recording Angel; Assembly; Loved One; The Unremarkable Child; Farmer's Ghost: Part One, Part Two; Thermal; Sorrow and Its Opposite. 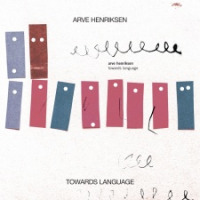 Personnel: Arve Henriksen: trumpets, voice (1, 6), field recording (1); Jan Bang: live sampling (1, 5, 10), samples (2, 3, 6, 8-12), beats (2, 3, 7), programming (2, 3, 5, 6, 10, 12), bass line (6), dictaphone (6, 8), arrangement (11, 12); Audun Kleive: percussion (1, 11), drums (10), organ samples (7); David Sylvian: voice (2, 11), samples (2), programming (2); Helge Sunde: string arrangements (2), programming (2); Eivind Aarset: guitars (3, 11); Lars Danielsson: double-bass (3); Erik Honore: synthesizer (3-5, 7, 10), samples (3), field recording (4, 7), choir samples (7); Arnaud Mercier: treatments (4)l Trio Mediaeval: voice sample (6); Verene Andronikof: vocals (6); Vytas Sondeckis: vocal arrangement (6), vocal performance (6); Anna Maria Friman: voice (10); Stale Storlokken: synthesizer (10), samples (10).